Visiting Seattle and looking for a location to swim? Nice choice! Don't neglect to tell us how did it go. 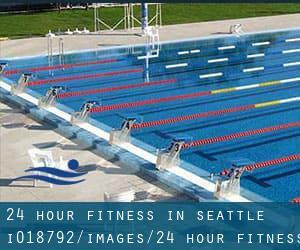 Introducing now 24 hour Fitness in Seattle swimming pool, an excellent swimming pool sent by a swimmer like you couple of days ago. Have you visit this pool? Do you perform here? Please, make contact with us should you have information and facts that you feel is gonna be useful and remember from now on you possibly can now promote every pool just by sharing this page with your buddies or adding comments in the Facebook boxes below. Come on and assist this pool to be the first in Seattle! Among all the activities offered by the center, when you are thinking about swimming you are going to get pleasure from 25 meters, 5 lanes, Indoors. Write down the GPS coordinates we have on our file for this Pool, so you can enter them into your GPS to aid you locate the Aquatic Center easily. If you believe that any in the facts is incorrect, please get in touch with us. Help us be better day-by-day. Updated on 2019 909 - 4th Ave. , Downtown , Seattle , WA , USA (Postal Code: 98104). Among all of the activities supplied by the center, if you're keen on swimming you can expect to appreciate 25 meters, 3 wide lanes, 4 feet - 5 feet depth, Indoors. Just in case you wish to get in touch with this Pool just before dropping by, we only know the phone number. Updated on 2019 1700 - 23rd Ave. , Madison Valley , Seattle , WA , USA (Postal Code: 98122). Among all the activities offered by the center, in case you are enthusiastic about swimming you will appreciate 25 yards x 24 feet, 4 lanes, Indoors. Just in case you need to contact this Swimming Pool before dropping by, we only know the phone number. Updated on 2019 1325 - 6th Ave. , Downtown , Seattle , WA , USA (Postal Code: 98101). This sports center offers 25 yards, Indoors. For this Pool, only phone number is number here. 13401 Meridian Ave. N. , Seattle , WA , USA (Postal Code: 98133). This sports center gives 25 yards x 45 feet, 6 lanes, Indoors. For this Pool, only phone number is number here. Updated on 2019 500 23rd Avenue , Central District , Seattle , WA , USA (Postal Code: 98122). Swimmers like you reported 25 yards, 6 lanes, 3.5 feet - 13 feet depth, Indoors. Unfortunately we do not have the email address of this Pool, but we can give you the phone number. 1827 Yale Avenue , Capitol Hill , Seattle , WA , USA (Postal Code: 98101). This sports center gives 25 meters, 4 lanes, Salt Water, Indoors. For this Swimming Pool, only phone number is number here. 1471 N.W. 67th , Ballard , Seattle , WA , USA (Postal Code: 98117). Swimmers like you reported 25 yards x 45 feet, 6 lanes, Indoors. Unfortunately we do not have the e-mail address of this Swimming Pool, but we can give you the phone number. Updated on 2019 2801 S.W. Thistle , Seattle , WA , USA (Postal Code: 98126). Among all of the activities supplied by the center, for anyone who is interested in swimming you will take pleasure in 25 yards x 45 feet, 6 lanes, Indoors. Just in case you wish to make contact with this Pool just before dropping by, we only know the phone number. 2020 Western Ave. , Downtown , Seattle , WA , USA (Postal Code: 98121). Swimmers like you reported 20 yards, 5 lanes, Indoors. Unfortunately we do not have the email address of this Pool, but we can provide you with the phone number. Updated on 2019 University of Washington - 3870 Montlake Blvd. NE , Seattle , WA , USA (Postal Code: 98195). Among all the activities offered by the center, in case you are keen on swimming you can appreciate 25 yards, 6 lanes, Indoors. Updated on 2019 4515 - 36th Ave. S.W. , West Seattle , Seattle , WA , USA (Postal Code: 98126). Among all of the activities provided by the center, if you're considering swimming you'll delight in 25 yards x 36 feet, 6 lanes, Indoors. Just in case you would like to make contact with this Pool prior to dropping by, we only know the phone number. 330 2nd Ave West , Queen Anne , Seattle , WA , USA (Postal Code: 98119). Swimmers like you reported 18 yards, 2 lanes, Indoors. Unfortunately we do not have the email address of this Pool, but we can provide you with the phone number. 5301 Leary Ave., N.W. , Ballard , Seattle , WA , USA (Postal Code: 98107). Among all the activities offered by the center, when you are thinking about swimming you are going to appreciate 20 yards, 4 lanes, 4 feet depth, Indoors. Just in case you want to contact this Swimming Pool before dropping by, we only know the phone number. 333 N.E. 97th St. , Northgate , Seattle , WA , USA (Postal Code: 98115). Among all of the activities supplied by the center, for anyone who is interested in swimming you will take pleasure in 20 yards, 4 lanes, Indoors. Just in case you wish to make contact with this Pool just before dropping by, we only know the phone number. Updated on 2019 2629 SW Andover St. , West Seattle , Seattle , WA , USA (Postal Code: 98126). This sports center offers 25 meters, 7 lanes, 5 feet depth, Indoors. For this Pool, only phone number is number here. The knowledge of this Pool has been verified recently by a member of their staff.